The SmartiPi Touch is a case and stand for the Official Raspberry Pi 7″ Touchscreen LCD. 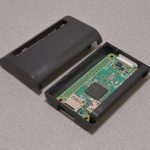 The display securely fits into the case with four screws, while a Raspberry Pi 2, 3, B+ or A+ is enclosed in the compartment on the back with a simple door. 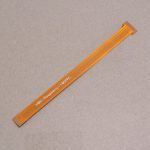 A ribbon cable that comes with the display connects into the Raspberry Pi DSI port. The stand has a pivot that allows you to adjust the angle of the screen for better viewing, as well as mounting points to affix it to a certain location. The SmartiPi Touch also includes a small case that houses your very own Raspberry Pi Camera Module, which can be attached via LEGO-compatible studs on the front or the back of the display case. 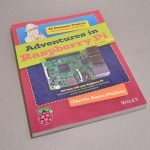 Additionally, if you are looking to attach any HATs to the Raspberry Pi, you are in luck! The door to the Raspberry Pi has been cut to accommodate access to all of its GPIO pins. There is even a dual micro USB splitter cable included, which allows you to use a micro USB power supply to power the display and the Raspberry Pi at the same time! Please Note: As of July 26th, 2018 The SmartiPi Touch’s back panel has been updated to accommodate the POE pins on the Raspberry Pi 3 B+. SKU: RAS-104. Category: Cases & Enclosures. Tag: Raspberry Pi.